If you think you are a hopeless procrastinator, take heart! No one is beyond help. The fact that you procrastinate does not mean that you are inherently lazy or inefficient. Your procrastination is not an untamable beast. It is a habit that has some specific origin, and it is a habit that you can overcome. This handout will help you begin to understand why you procrastinate and give you some strategies for turning things around. 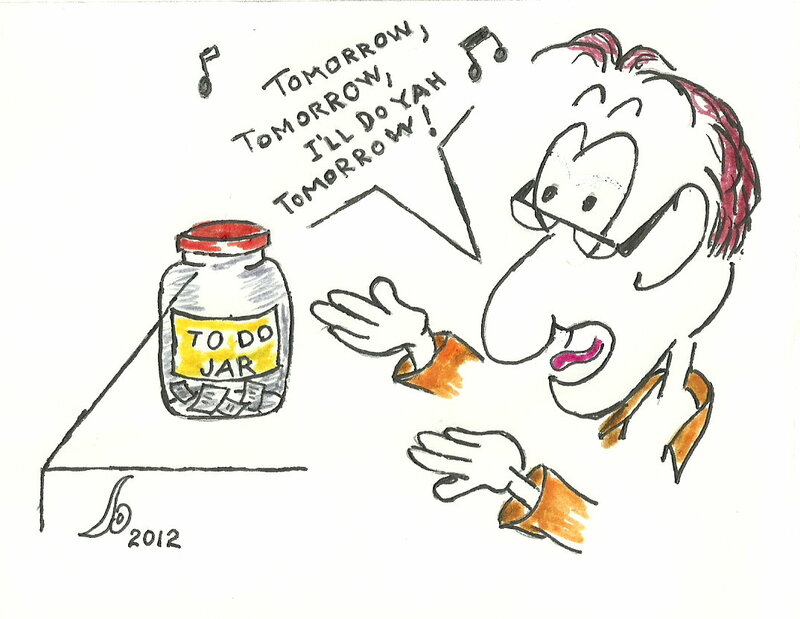 For most procrastinators, however, there are no quick fixes. You aren’t going to wake up tomorrow and never procrastinate again. But you might wake up tomorrow and do one or two simple things that will help you finish that draft a little earlier or with less stress. You may not be surprised to learn that procrastinators tend to be self-critical. So, as you consider your procrastination and struggle to develop different work habits, try to be gentle with yourself. Punishing yourself every time you realize you have put something off won’t help you change. Rewarding yourself when you make progress will.